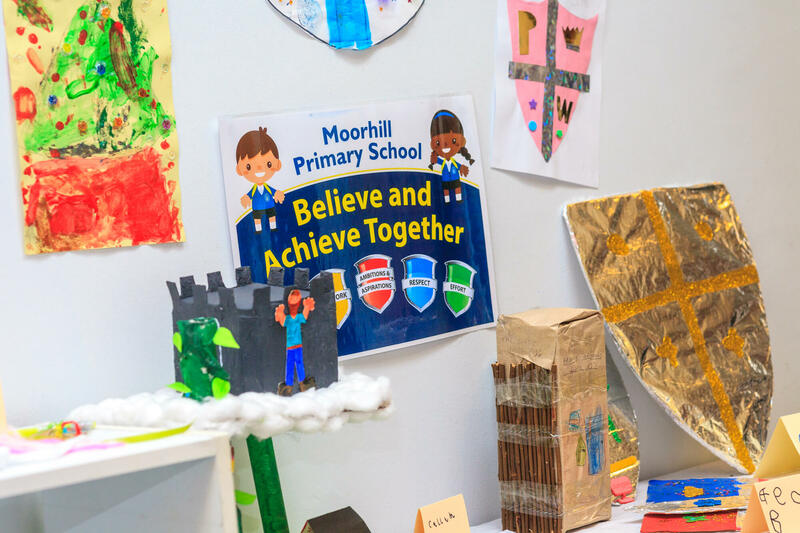 When our children leave Moorhill, they will be motivated and inspired learners who are articulate, literate and numerate. They will know that by working hard and working together they can achieve greater success; they will have high aspirations, lifelong skills for learning and will successfully demonstrate our core values in all areas of their lives. Through our school values and our curriculum we also aim to embed the British Values of Mutual Respect and Tolerance of those with different faiths and beliefs and for those without faith. To provide a broad, balanced curriculum that enables our pupils to make good progress in all areas of learning. To provide a safe and secure environment in which children can learn. To provide a positive and consistent behaviour system that enables our pupils to develop resilience and strategies to succeed.